It’s been some time since I’ve posted a new track, though that’s entirely due to a soul-crushing schedule – time to pick it up. Here’s something that’s rare, infrequently recorded in the early days, musically interesting, and from an area that I haven’t yet featured on Excavated Shellac: the early music of Panama. While Panama’s isthmus connects Central and South America, it’s music has influences from all over. You’ll understandably hear direct influences from Spain and Amerindian peoples, but also from Africa. There was a constant stream of people moving through the famous El Camino Real from the 1500s, as the route connected South America with the Caribbean. Many of those travelers were African slaves. Railroad construction in the 1800s and the Canal construction brought immigrants from various parts of the world to the region, further expanding the variety of Panama’s population. Two types of local Panamanian music have African roots – the tamborito, and the cumbia Panameña, the music featured here. Who recorded in Panama in the early days? It turns out almost no one, as far as I can tell. The few remaining examples of regional Panamanian music actually recorded in the country seem to have been recorded exclusively by Victor, who had strong, established markets in Argentina, Brazil, and Chile, and who also recorded less frequently in Bolivia, Peru, Ecuador, and Venezuela. Victor made two very brief stops in Panama, in March of 1928, and in April of 1930, when this track was recorded. All told, the company recorded a scant total of 21 records in Panama. That’s it – just 21. 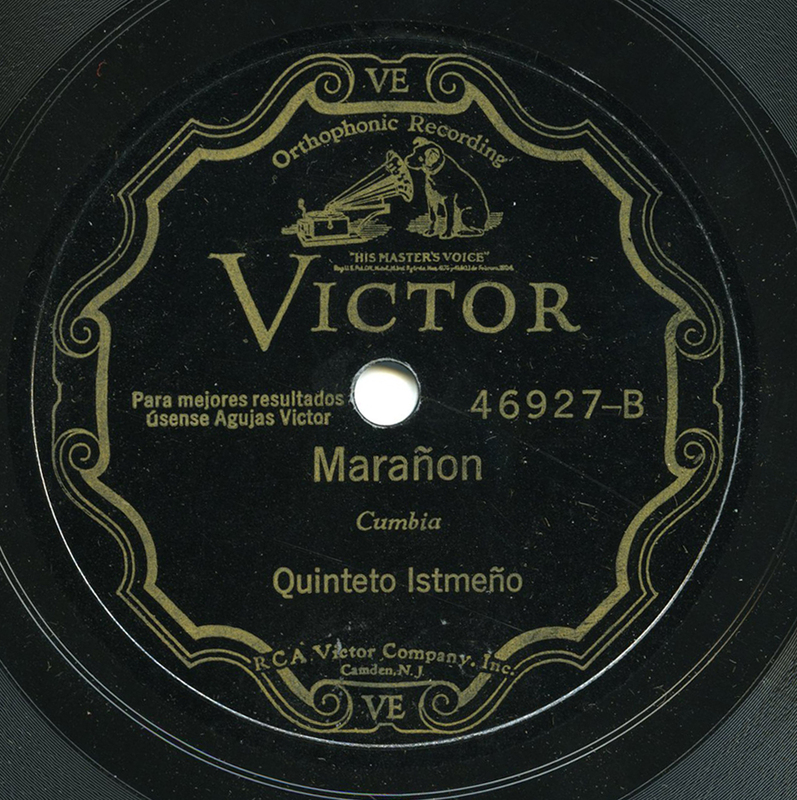 Sure, Victor marketed several other discs to Panama of band music, largely recorded in New York, but only 21 discs worth of original material was recorded in Panama before 1930…and possibly until WWII. By comparison, at that time thousands of Argentine discs were available, recorded by numerous companies big and small. Just two of these Panamanian discs were kept alive in the ensuing decades, reissued and repressed on the RCA Victor label. I know of no other early company that recorded in Panama. However, in those 21 discs are truly beautiful examples of unique, local music – tamboritos, danzons by small orchestras, the arresting mejorana music played with the small guitar known as the socavón, and the cumbia Panameña. For a great tamborito from the same series, visit Sonidos Perdidos! 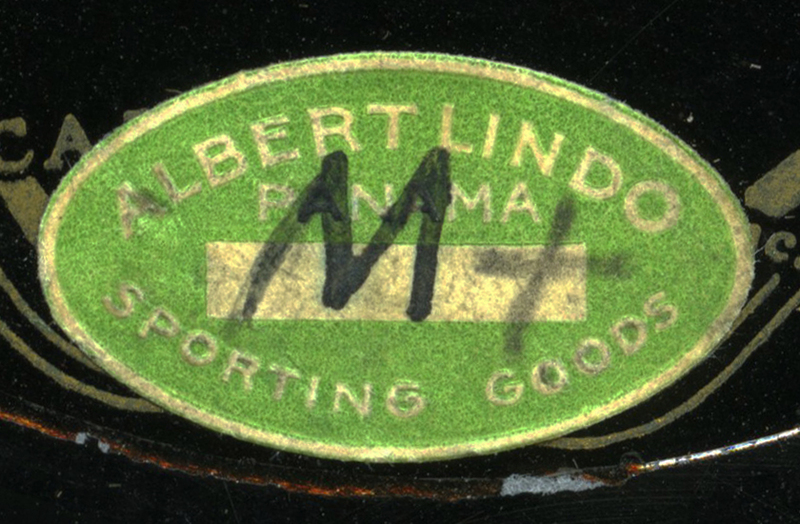 This record was originally purchased and sold at the Albert Lindo sporting goods store of Panama.